Meet Ian he runs an online training company. We are on the quest to interview business owners over the age of 60. 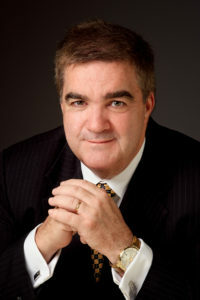 This week we chat to Ian Oliver who is CEO of National Training in South Melbourne Australia. Can you tell me a little bit about your business and what you do? I have always enjoyed the challenge of fixing things, I started as a consultant at Talent2 (old Morgan & Banks group) to sort out a business problem, three years before they purchased a group of training companies and were now losing serious money, with no obvious plan to recover. In the end they gave the training companies away to get rid of the headaches, it took nearly two years to get the training companies on track with a clear and sustainable business model, that matches my lifestyle. I now run an online training company, as an accredited private RTO we offer predominately Diploma level courses in Business, HR, Project Management, Logistics, Accounting and Leadership, the training company makes money and has a clear business plan. What motivates you to keep working after 60? Don’t really think about being over 60, I enjoy making a difference to people’s lives and careers. Our students want to gain a tertiary qualification, over 80 percent are in full time employment and we support them in achieving their career and personal goals. Again, the intellectual challenge, staying up to speed with new age social media marketing tools, tinkering with words on the website. Using Google Analytics to track the success and path of ads, from the ad ‘click’ that was of interest through to the paid enrolment, social media advertising, blogging, influencing people to visit my website. The business is successful and growing, over the years I have consulted and provided advice to large and small organisations, now I have an opportunity to make that happen on my own terms. What do you like most about having your own business? No longer need to worry about company politics and entertaining some managers who are focused on building their company profile. My hours are my own, I can work from home or overseas, this means I need to keep my business model straight forward and not flex too much to accommodate the variation requests, especially corporates. What have been some of the struggles you have faced with running your own business? Disengagement from past business practices is slower and more difficult than I would have liked, often it is simpler to change the resource and start with a clean sheet. What are some of the most important lessons you have learnt in life? Do you own research, you may think it’s a great idea and everyone will be of the same thinking as you, sometimes this is not the case, learn to let it go. Ask questions, how does this work, show me, don’t be afraid to ask the same question again until you are satisfied. It was a standing office joke, that I had Alzheimer’s as I often asked the same question twice or three times to make sure a job I wanted done had been done. Often people will try to bluff or fob you off, too complicated, highly technical, too hard for you to understand. You do not need to be a genius to unravel a fishing line, a business process or SEO triggers. What advice would you give to the younger generation? Keep asking questions, what value does this step that I do add. Don’t be afraid to change careers or jobs, you should always be able to learn something new everyday. Don’t be afraid to do someone else’s job especially someone who reports to you, maybe they have gone on holidays for a couple of weeks, you will often be amazed at what you discover and what you thought was happening is often not the case. It is extremely difficult to change employee’s habits and preferences. Retraining, reskilling or change management is one of the hardest and misused process’s in management. If you could jump into a time machine what era would you visit and why? No real interest in going backwards, forward 50 or 150 years, so many questions unanswered. Are we going to be ruled be minority opinionated groups? Will the world get into a lemming state? Will we learn to reverse or manage global warming?